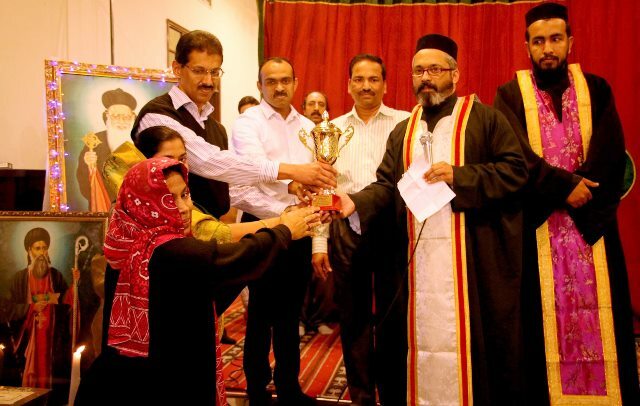 Hearty Congratulations to �9th Mar Theodosius Memorial Inter Prayer Group Quiz competition Winners : 1st Place - St. Johns Prayer Group, Salmiya 2nd Place St. Mark Prayer Group, Abbassiya and 3rd Place St. Philipose Prayer Group, Abbassiya. Congratulations to all Team members. 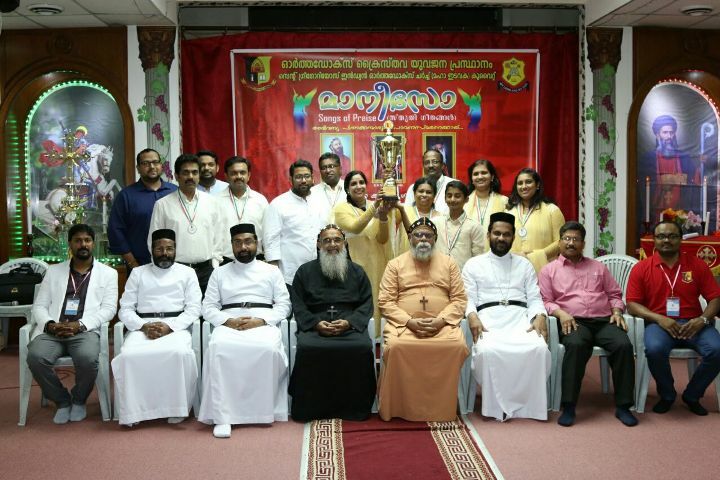 3rd - St. Philipose Prayer Group, Abbassiya. 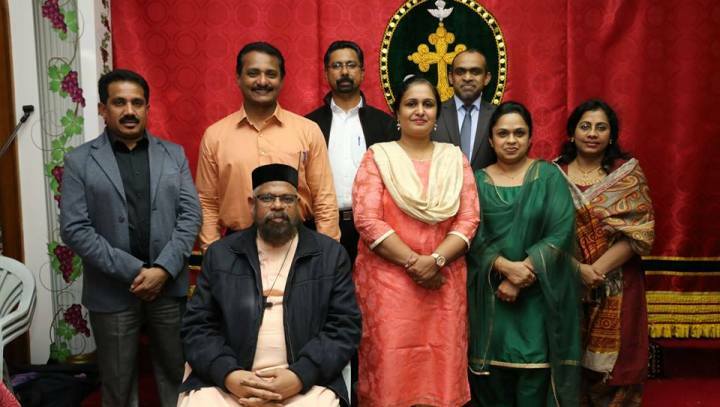 3rd St. Philipose Prayer Group, Abbassiya. 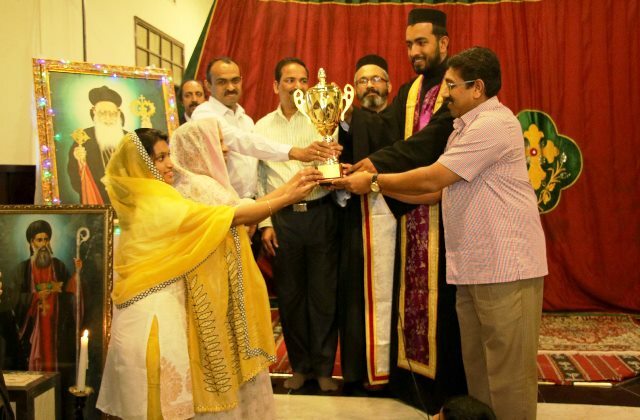 Hearty Congratulations to 8th Mar Theodosius Memorial Inter Prayer Group Quiz competition Winners : 1st Place - St. Mark Prayer Group, Abbassiya 2nd Place St. Thomas Prayer Group, Abbassiya and 3rd Place St. Luke Prayer Group, Abbassiya. Congratulations to all Team members. MGOCSM unit is hoisting a �CAREER COUNSELING and STRESS MANAGEMENT� programme on 6th January 2018 from 10 am to 12 pm at St George Chapel, Abbassiya. 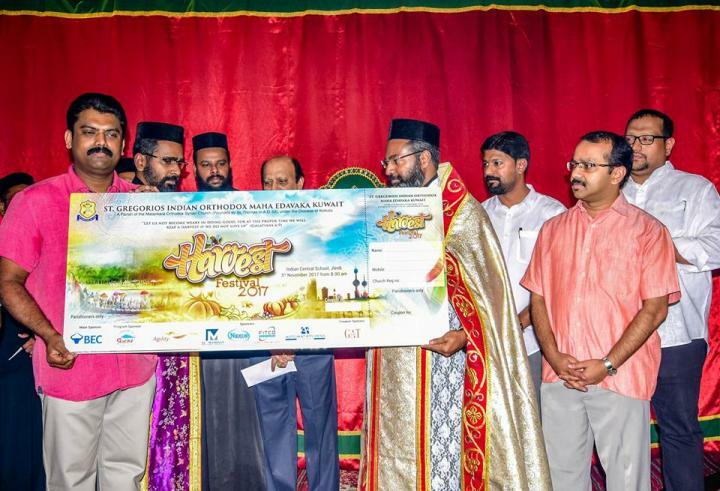 Harvest Festival 2017 raffle coupon release and first sale had been held on 1st September 2017 at NECK Kuwait after Holy Qurbana. HF 2017 Raffle coupon was released by Maha Edavaka Vicar Rev. Fr. Jacob Thomas. Associate Vicar Rev. Fr. Giju George sold the first book of coupons to the senior parish member Mr. Thomas Mathew. 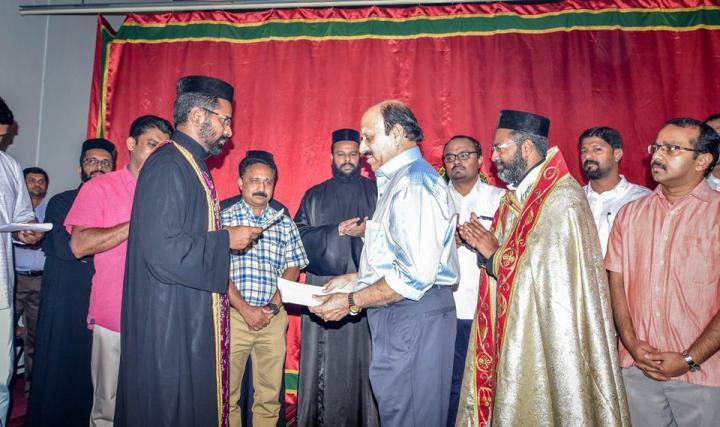 Parish Treasurer Ajish Thomas, Secretary Abraham C Alex, HF Joint Convener Jerry John Koshy, HF Finance Convener Jacob V Job, Program Convener Anish Thomas, Coupon Convener Nixon Thomas, Sponsorship convener Navin Thomas were also present during the function. Harvest Festival 2017 will be held on Friday 3rd November 2017 at Indian Central School Abbassiya. 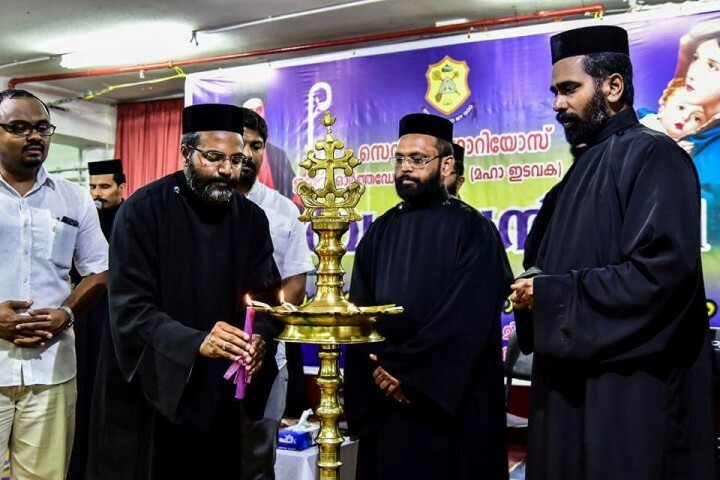 His Grace Dr. Youhanon Mar Dioscoros (MOSC Synod Secretary and Diocesan Metropolitan of Chennai and Kottayam Central diocese) will be the chief guest for the programmes. Holy Ramban Ordination of Rev. Fr. Raju Thomas at NECK Kuwait on 23rd March 2017. 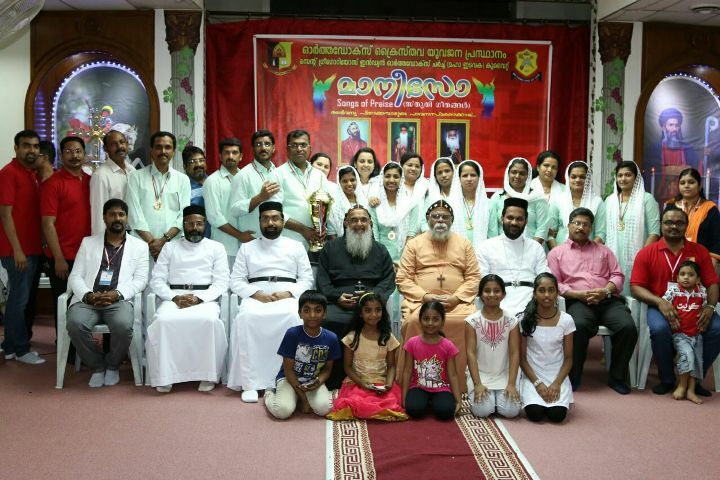 Sacramental Group Song competition for the Parish prayer groups held on Friday 19th May 2017 at St. George Chapel, Abbassiya. 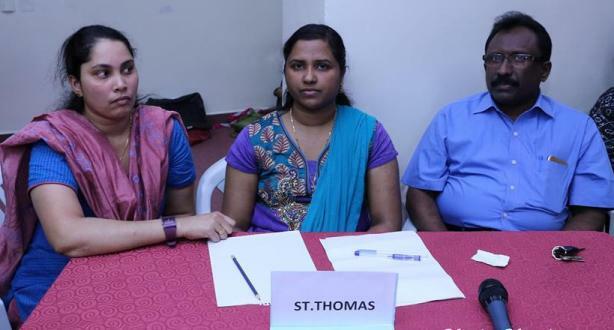 Hearty Congratulations to Winners of 2017 Mar Theodosius Memorial Inter Prayer Quiz Competition, which held on Friday 20th January 2017 at St. George Chapel, Abbassiya. 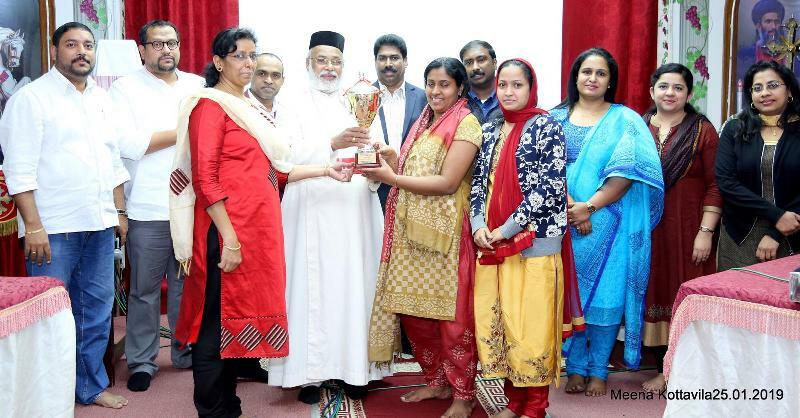 St. Gregorios Prayer Group Team, Abbassiya won the First Prize, St. Johns Prayer Group Team, Salmiya and St. Thomas Prayer Group Abbassiya won the Second Prize and St. Luke Prayer Group Abbassiya won the Third Prize. 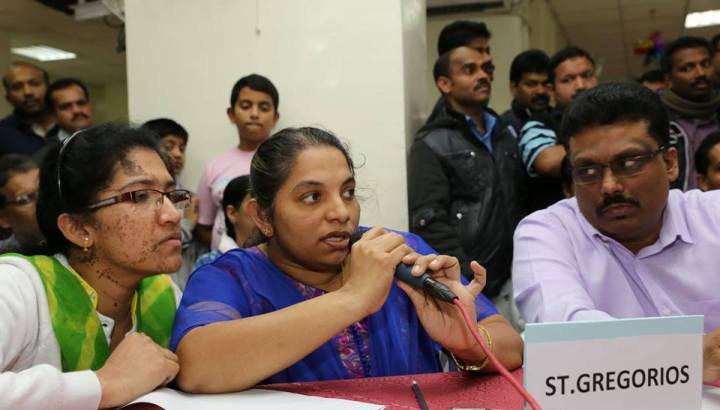 Special thanks to Quiz Master Mr. Shibu P Alex and his team for a great job . 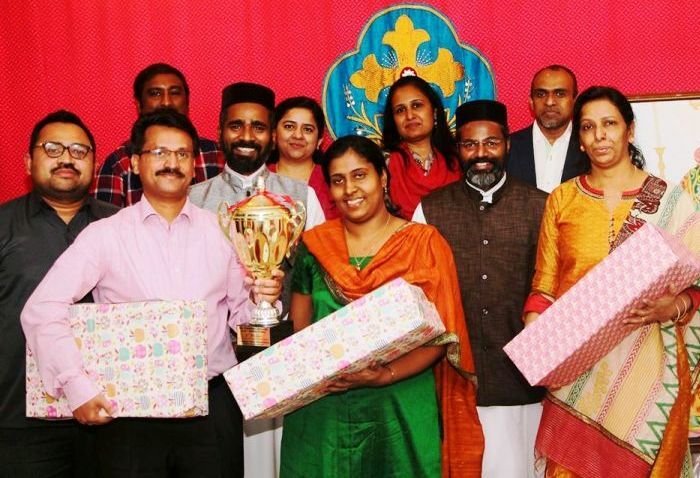 Appreciation goes to Prayer Group General Secretary Mr. Sabu jacob and all other prayer group secretaries and participants. 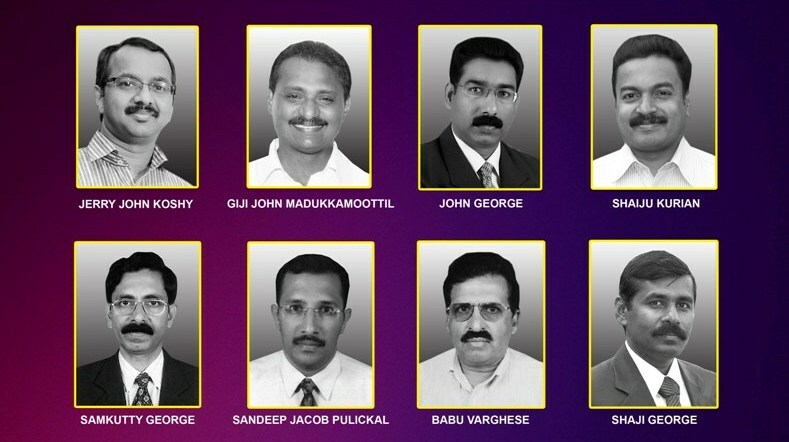 Hearty Congratulations to our MMVS members, who have scored 2nd and 3rd rank in the Akhila Malankara Marth Mariam Samajam Examination, 2016. Parish Church Choir won the First Pace in the Silent Night Season III Christmas Carol Singing held on December 10th 2016. 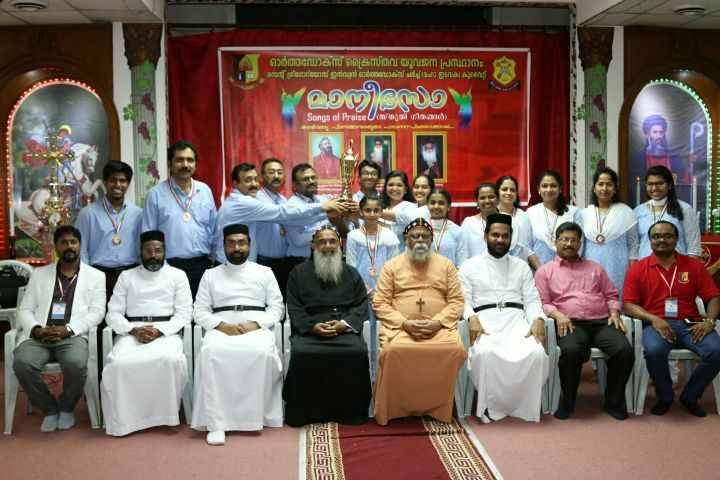 St. Gregorios Indian Orthodox Church (Maha Edavaka), Junior Team and Senior Team won the First Prize in the KECF Quiz Competition held on 21st March 2015 at NECK. 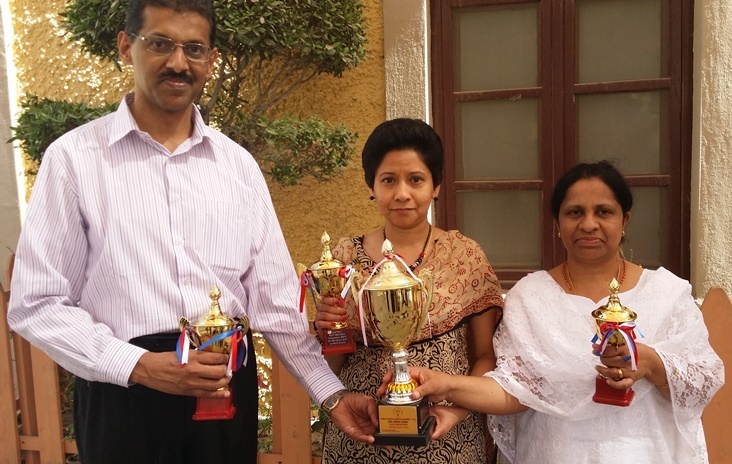 Senior Team : Mrs. Riny Issac, Mr. Shaji Cherian, and Mrs. Susan John. Junior Team : Miss. 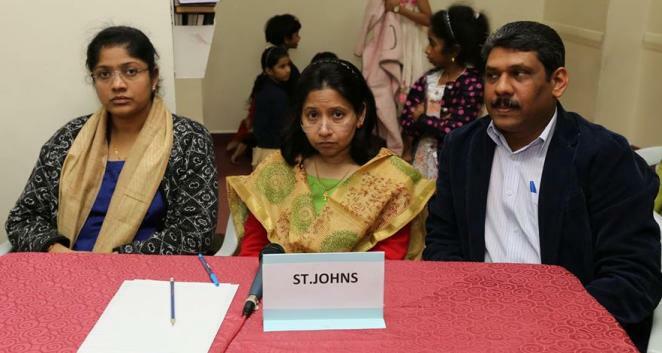 Midhuna Mathew, Master Stephen Raju Mathew and Miss. Nicole Ann Jacob. MMS Farewells of Teena Sujan, Sallykutty George, Saramma Cherian and Mary Philip. 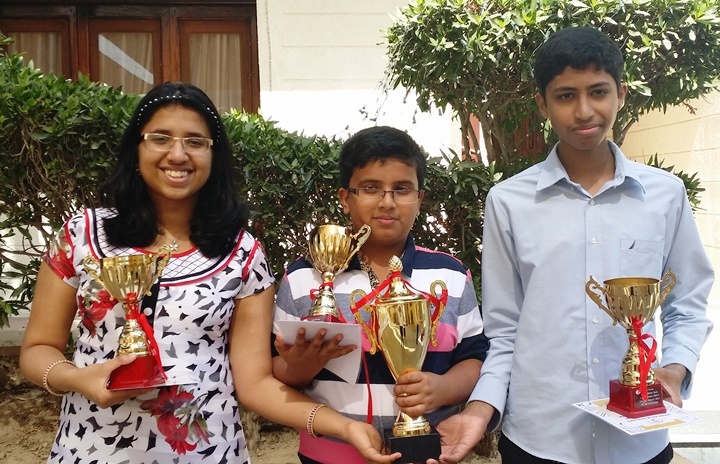 St. Gregorios Indian Orthodox Maha Edavaka, Junior Team and Senior Team won the First and Second Prize in the KECF Quiz Competition held on 29th March 2014 at NECK. 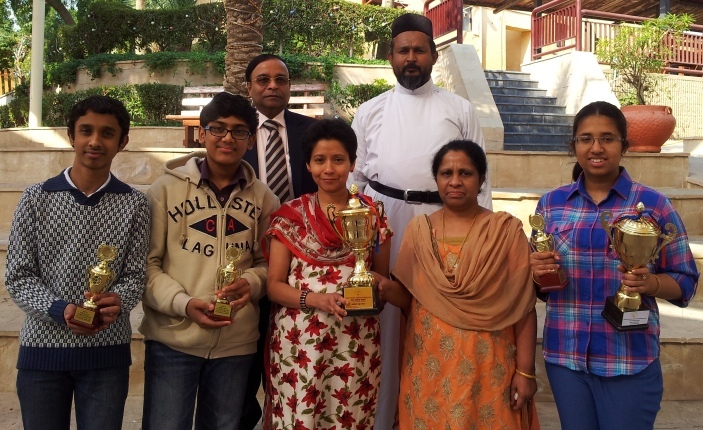 St. Thomas Prayer Group Team, Abbassiya won the First Prize, St. Johns Prayer Group Team, Salmiya won the Second Prize and St. George Prayer Group Abbassiya won the Third Prize in the Mar Theodosius Memorial ever-rolling trophy Inter Prayer Group BIBLE QUIZ competitions held at UIS Abbassiya on 24th January 2014. 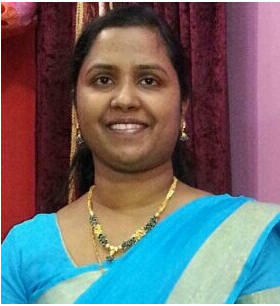 Hearty Congratulations. 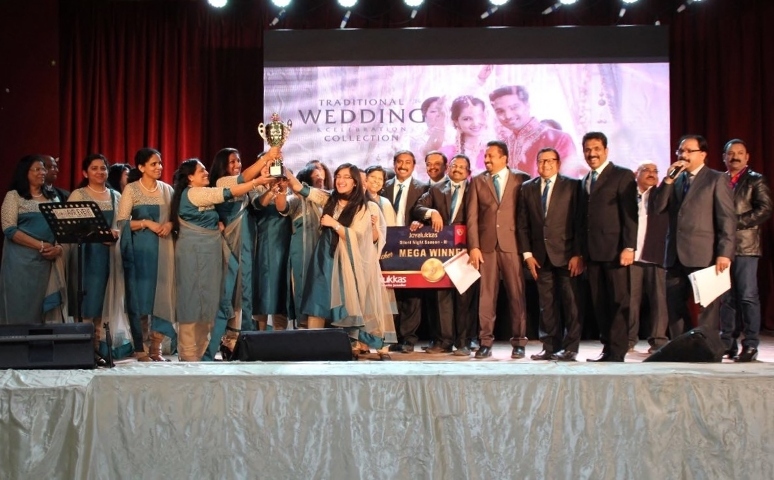 Special thanks to Quiz Master Mr. Shibu P Alex and his team for a great job . 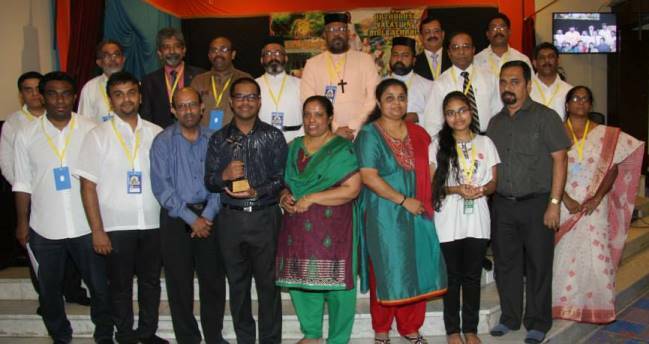 Appreciation goes to Prayer Group General Secretary Mr. K.P Varghese and all other prayer group secretaries and participants. 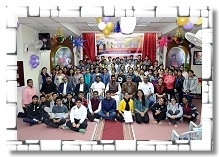 AAM Seminar on "Enlightening the Family by Effective Parenting" By Rev Fr Johns Abraham conducted on 9th Jan, 2014 organized by Anti Alcoholism Movement. 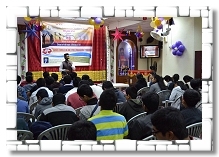 SGOCYM - Activity Inaguration 2013-14 and Study class By H.G.Dr Thomas Mar Athanasious metropolitan of Kandanadu Diocese. 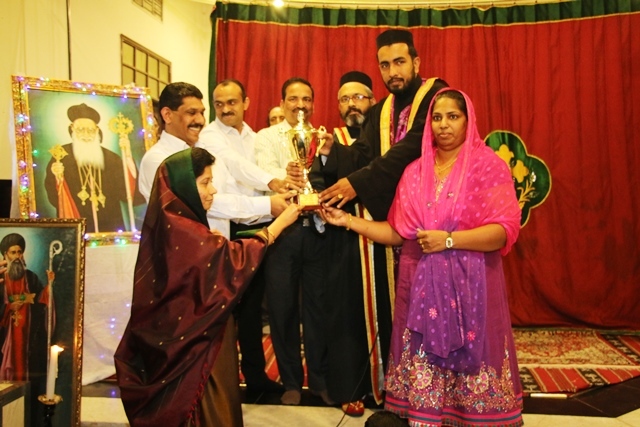 SGOCYM annual magazine (Theshbuhatho) release & prize distribution of drawing & essay writing competition. 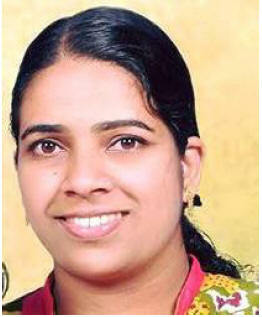 March 2013 after the Easter service by H.G.Thomas Mar Athanasious, Metropolitan of Kandanadu Diocese. 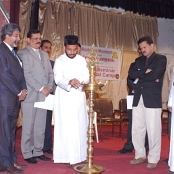 Anti Alcoholism Movement Medical Seminar on Thursday, 14th Feb 2013 at Indian Central School, Abbassiya and Medical Camp in association with IDF (Indian Doctor�s Forum) and Kuwait Heart Foundation on Friday 15th Feb, 2013 (9 AM to 1 PM) at Indian Central School, Abbassiya. 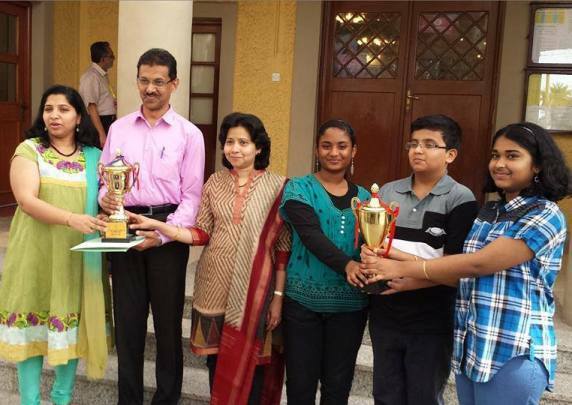 Our Junior and Senior Teams retained the 1st place in the KECF Quiz competition, held on Saturday, 5th January, 2013. 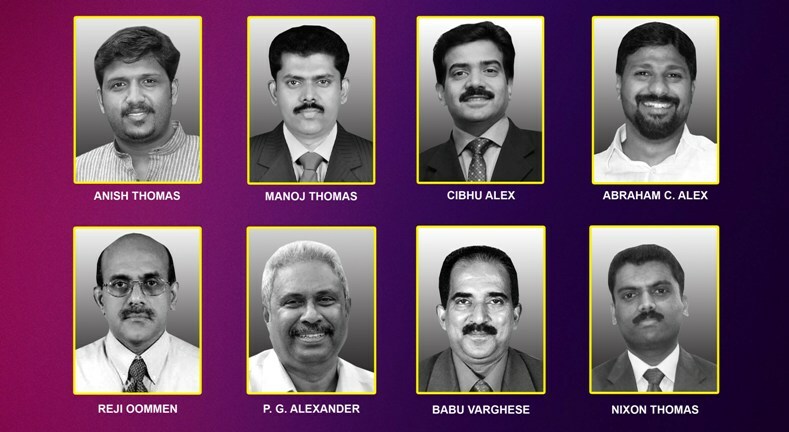 Hearty Congratulations to the Team Members. OVBS 2012 Closing Ceremony Photos..
OCYM - World Environment Day Program Green Kuwait,15 June- 2012. Passion Week - Hosana Videos & Photos. 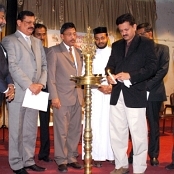 MMS Annual Conference held on March 16th, 2012 at St George Chapel Abbassiya. Anti Alcoholism Movement, second membership campaign and awareness program about alcoholism and drug addiction on Monday, 18th July, 2011 at Al-Mulla Camp. 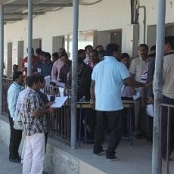 Anti Alcoholism Movement, conducted a membership campaign and awareness program about alcoholism and drug addiction on Monday, 11th July, 2011 at Al-Mulla Camp.